Cowlitz County Sheriff Brad Thurman and the DeRosier family said Wednesday the service will be held at The Earle A. & Virginia H. Chiles Center at the University of Portland. 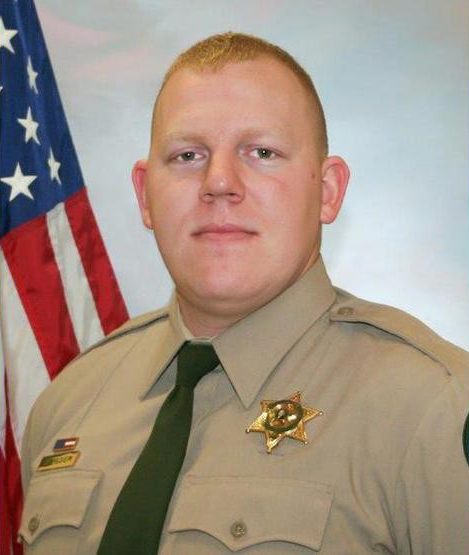 The 29-year-old DeRosier had been a Cowlitz County deputy since 2009 and was the married father of a 5-month-old daughter. He responded alone Saturday night to a motorhome blocking a road near the tiny southwestern Washington city of Kalama and reported over police radio that someone was shooting at him. The Clark County Medical Examiner said Wednesday DeRosier died of a gunshot wound to the chest. Authorities say Brian Butts fatally shot DeRosier and that Butts was shot to death by law enforcement Sunday following a manhunt. Thank you LEOFF 1 Coalition members! 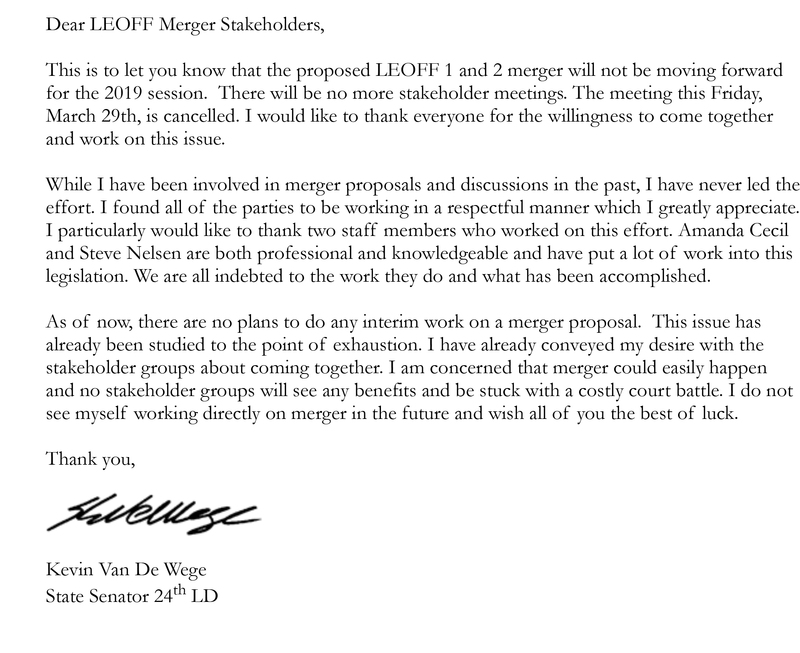 We were able to stop the proposed LEOFF 1 and LEOFF 2 merger because of all your emails and phone calls to Senator Van De Wege (District 24), an active firefighter and LEOFF 2 member. A special thanks to the LEOFF 1 Coalition members from Senator Van De Wege's Legislative District - Clallam, Gray's Harbor, and Jefferson Counties. Senator Van De Wege says he only wants the LEOFF 1 funds. The next Stakeholders' Meeting will be Friday, March 29th, at 2:00pm. You can also copy and paste this link (https://youtu.be/yQfgN_Ea8Eo) into an email to share with others. Please call or email Senator Senator Van De Wege regarding this merger! Please CC Joyce (joyce@leoff1coalition.org), LEOFF 1 Coalition Lobbyist, on all emails sent to Senator Van De Wege. UPDATE: A Memorial Service for Kittitas County Sheriff’s Deputy Ryan Thompson will be held at 2:00 p.m. on Thursday, March 28, 2019 at the Nicholson Pavilion, 715 E. Dean Nicholson Blvd., on the Central Washington University Campus in Ellensburg, Washington. KITTITAS, Wash. - A deputy with the Kittitas County Sheriff's Office was shot and killed in the line of duty Tuesday evening in the city of Kittitas. Deputy Ryan Thompson was 42. Thompson was born and raised in Walla Walla and attended Central Washington University. Police identified the suspect as 29-year-old Ellensburg resident Juan Manuel Flores Del Toro. Authorities said the incident started when deputies were called to a report of a road rage incident in which the suspect was driving erractically in regards to another vehicle in the Badger Pocket area of Kittitas County. The party in the other vehicle called police. At about 7:45 p.m., deputies tried to stop the vehicle involved but the driver failed to stop. Deputies chased the suspect into the city of Kittitas. Investigators said when the vehicle stopped, the suspect got out and exchanged gunfire with deputy Thompson and a Kittitas police officer. The deputy was shot and died from injuries at Kittitas Valley Hospital. The Kittitas officer was also shot and was airlifted to Harborview Medical Center, where he was in satisfactory condition as of Wednesday morning. Officer Benito Chavez, 22, was sworn into office with the department in July and graduated the Basic Law Enforcement Academy in January 2019.He is married and his wife is expecting a child. The police force in the small town consists of three officers. Chavez was undergoing surgery for a shattered femur Wednesday, authorities said at a Wednesday news conference. "Last night was the worst incident in my 45-plus years in law enforcement and something that a sheriff or police chief wishes would never ever happen during their watch," Kittitas County Sheriff Gene Dana said. The suspect was also shot and was taken to Kittitas Valley Hospital. Ellensburg police told KIRO 7 he later died. The fallen deputy started his career in law enforcement as a reserve Kittitas County deputy in 2004 and served as a corrections officer prior to becoming a Central Washington University police officer in 2007. He returned to the sheriff's office in 2013. Thompson is survived by his wife and three children. The Ellensburg Police Department will conduct the investigation into the shooting. Anyone with information about the road rage incident or any events leading up to the shootout is asked to contact the Ellensburg Police Department at 509-962-7280. To donate to the family support accounts set up for Deputy Thompson and Officer Chavez, go to this link. With everything going on at the Capitol, the LEOFF 1 Coalition will need your help contacting legislators. Do you know how to find and contact them? Click here to find your legislators. Click here to learn how to contact your legislators. The second stakeholder meeting on the merger of LEOFF 1 and LEOFF 2 will be Friday, March 22, 2019. 2001 - the LEOFF 1 groups worked together to stop the LEOFF 1 and LEOFF 2 merger. "This legislative action is simply against the law," said Steve Berman, attorney for the plaintiffs. 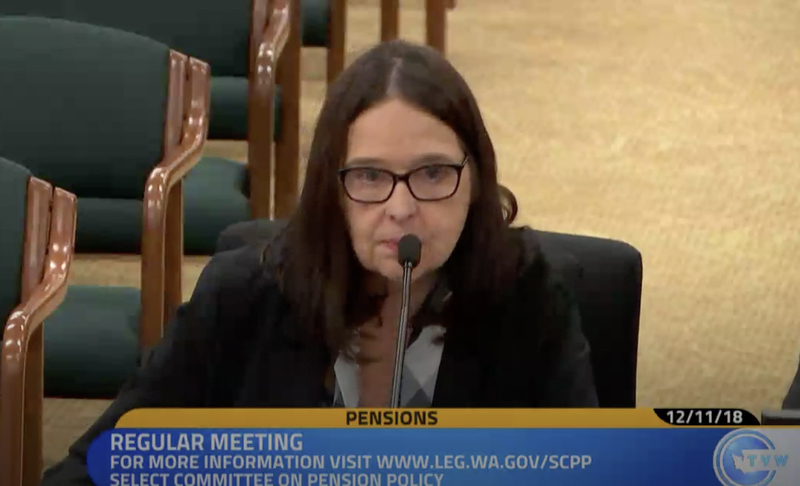 "Washington state law states very clearly that all monies contained in the LEOFF 1 plan - including the surplus - are held in trust for the benefit of the plan participants, and the participants alone." The LEOFF 1 Coalition President, Bill Dickinson, Lobbyist, Joyce Willms, and the Washington State Retired Deputy Sheriffs and Police Officers Association, represented by Past President Andy Wilson, attended the LEOFF 1 and LEOFF 2 merger meeting at the Capitol on Thursday, March 14, along with other LEOFF 1 groups. The question you’re probably asking yourself is, “Why does the state want to merge LEOFF 1 and LEOFF 2?” The answer is simple: They want our money so that the state will no longer have to pay into LEOFF 2 until 2021 and can use the remaining money to balance the state budget. It is urgent that we protect the LEOFF Plan 1 name. Without the LEOFF Plan 1 name, your medical benefits will be in jeopardy. 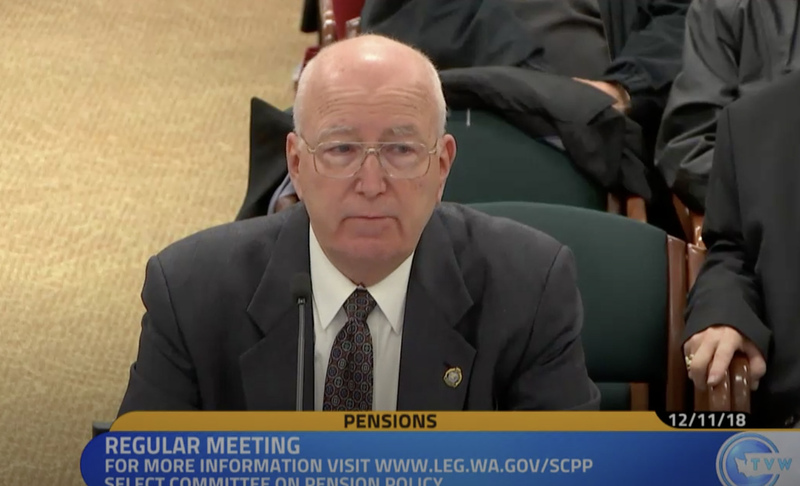 The bill to merge LEOFF 1 and LEOFF 2 is sponsored by Senator Kevin Van De Wege, Democrat from Legislative District 24 (including Clallam, Grays Harbor, and Jefferson counties) and an active LEOFF 2 Firefighter. The plan for 2019-2021 and 2021-2023 means that the local employer pays a 30% contribution rate and the employee pays a 50% rate during these years. Then, beginning in 2023-2025, state contributions would restart, but phase out by 2030, shifting to a 55% rate for employees and a 45% rate for employers. The first incentive offer was to give every LEOFF 1 member and beneficiary $15,000 when merging LEOFF 1 to LEOFF 2. At his meeting on March 14th, that number had changed to $20,000 for every LEOFF 1 member and benficiary. In our opinion, part of this $20,000 payment offer is, basically, a bribe so the Legislators can take your Retirement Trust Fund. The next big question is, if there is no LEOFF Plan 1 name, then your medical benefits may be gone. As you can see in the LEOFF Merger Draft (linked below), the concern over LEOFF 1 Medical Benefits is not clearly answered. Another point in the draft is the transfer of $300 million from LEOFF 2 into a Benefit Improvement Account, making LEOFF 2 about 106% funded after the transfer. The Legislature would then use LEOFF 1 money to replace the $300 million taken from LEOFF 2. During the meeting, Joyce asked for clarification on what the Benefit Improvement Account would do, but no clear answer was ever given. Van De Wege has already set up the next merger meeting. It will be held on March 22, but with no stated agenda at this time. Click here to read the merger draft from Van De Wege's meeting on March 14th. Click here to read the news release on the 2001 LEOFF 1/LEOFF 2 merger lawsuit. Click here to read the Seattle Times article on the 2001 lawsuit. Senator Kevin Van De Wege is having a stakeholders meeting regarding a merger of LEOFF 1 and LEOFF 2 on March 14. The LEOFF 1 Coalition President, Bill Dickinson, will be at that meeting. 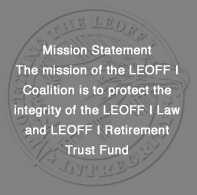 As we all know, the top priority of the LEOFF 1 Coalition is to protect the “LEOFF Plan 1 Retirement System” name. As long as there is no change in the name, our LEOFF 1 Medical Benefits and Trust Fund should be protected. If there is a merger, it could pose a serious threat to your LEOFF 1 Medical Benefits and Trust Fund. With the LEOFF 1 Trust Fund funded at 131%, the Legislature will take the money and I don’t see a way to stop it, except to sue them. Click here to read SB 5983. Click here to read about a LEOFF 1 and LEOFF 2 Merger. This bill would improve the local Law Enforcement Officers and Firefighters Retirement System Benefits Account by transferring $300 million from the LEOFF Plan 2 Retirement Fund. This would still leave the LEOFF Plan 2 Retirement Fund at 106% over funded. “An act relating to the law enforcement officers’ and firefighters’ plan 2 pension system; amending RCW 41.26.802 and 41.26.805; creating a new section; repealing RCW 41.26.800; and declaring an emergency. “Therefore, the legislature declares that it is the purpose of this act to hasten the affordability of law enforcement officers’ and firefighters’ plan 2 benefit improvements, consistent with the intent associated with the creation of the benefits improvement fund, and designate reserves of the law enforcement officers’ and firefighters’ plan 2 for the sole purpose of benefit improvements. 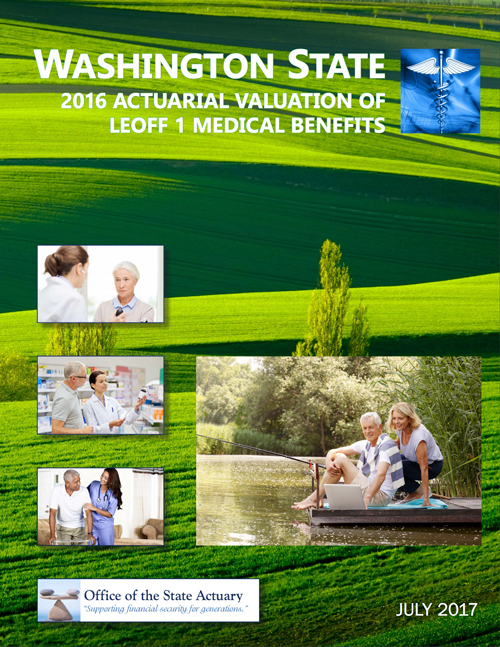 Click here to read about the LEOFF 2 Benefit Improvement Account. 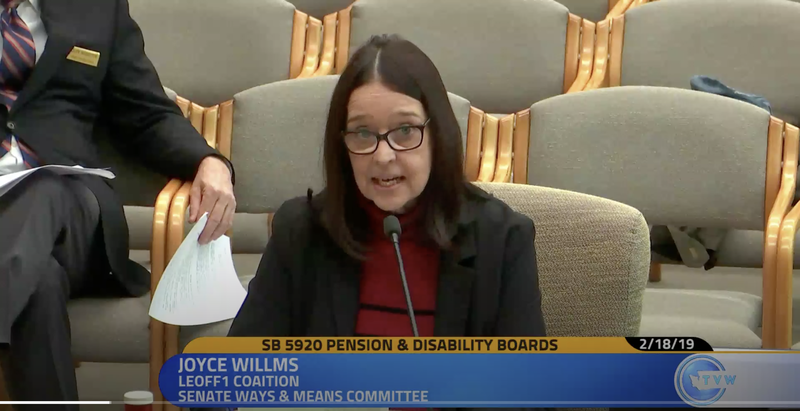 HB 2051 allows any active or retired firefighter or law enforcement officer who resides within the jurisdiction served by the board to be elected to a pre-LEOFF and LEOFF Plan 1 disability board, if no eligible active or retired firefighter or law enforcement officer is willing or able. Click here to watch the testimony on TVW.org. SB 5920 expands eligibility of who can serve on firefighter and law enforcement officer pension and disability boards to include active or retired firefighters or law enforcement officers residing in the district yet not subject to the jurisdiction of the board, when no eligible firefighter and law enforcement officer is willing or able to be elected. 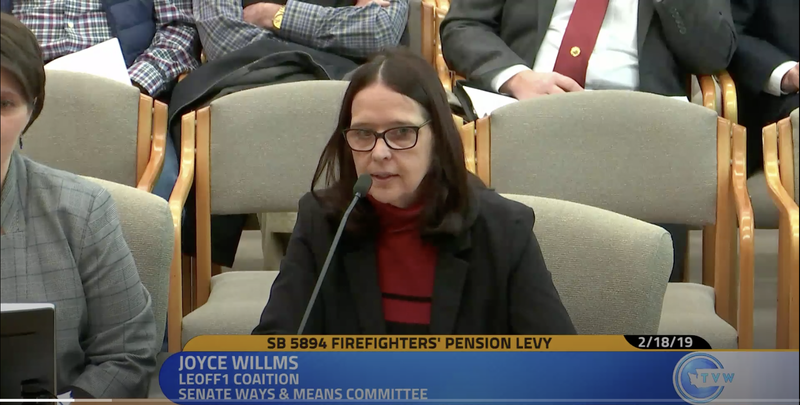 SB 5894 allows the firefighter's pension levy to continue to be levied specifically for funding medical benefits under the law enforcement officers' and firefighters' retirement system. Click here to watch the meeting on TVW.org. The Committee on Pension Policy has before it two proposals. One seeks to solve a reported concern that there are not adequate active or retired law enforcement officers and firefighters to staff local pension and disability boards. The one example cites the City of Edmonds. The do have a LEOFF I Disability Board, but the City simply chooses not to institute a legacy pension board under RCW 41.16. That situation does not appear to support the notion that there is a shortage of qualified active or retired firefighters, but I can certainly see the potential that over time, there could be a lack of active or retired law enforcement officers and/or firefighters to staff said boards. In cities such as Edmonds, another solution is to allow the contracted firefighters to sit on the board since they are in fact still providing the same fire service to the city except it is by contract. This would be an easy legislative fix as well. I would point out though, as time passes there will shortly be no legacy retirees left to be served by legacy boards so draft bill ”A” would solve the needs of providing adequate back-up while addressing the need and desire for local control I mentioned a moment ago. It makes sense to keep local agency staff and retirees involved in the jurisdictional decisions which affect them. In the complete absence of active or retired personnel for a jurisdiction, allowing other law enforcement officers and/or firefighters, active or retired personnel to serve as a back-up resource makes common sense with a logical progression of prioritization. (and you KNOW that law enforcement officers and firefighters love a back-up plan……). My only concern with draft “A” is the use of the term “This includes active and retired firefighters…. law enforcement officers” which seems to suggest that non-Washington are not excluded. 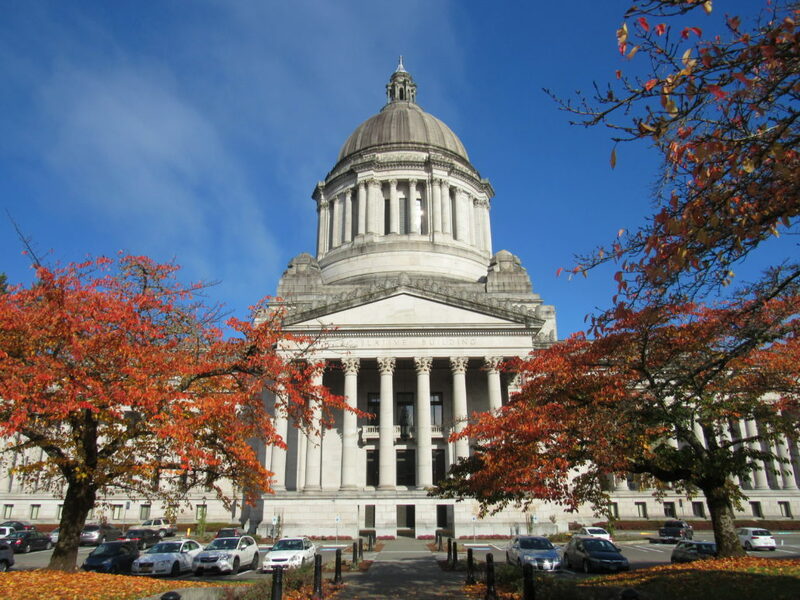 It is okay to expand the allowance of retirees from some other Washington municipality, but it would not be acceptable to allow board candidates coming from all-together outside of our retirement system. The second proposed piece of legislation completely fails to give priority to the local jurisdictions and their employees, be they active or retired, and simply allows any ex-law enforcement officer or firefighter to run for the local board regardless of where they come from. I submit that new persons in the community are likely not to be familiar with the history, community values, or public sentiment of the new community into which they have moved. In fact, the legislation as written would allow any retired law enforcement officer and/or firefighter to serve even if they came from California or New York. 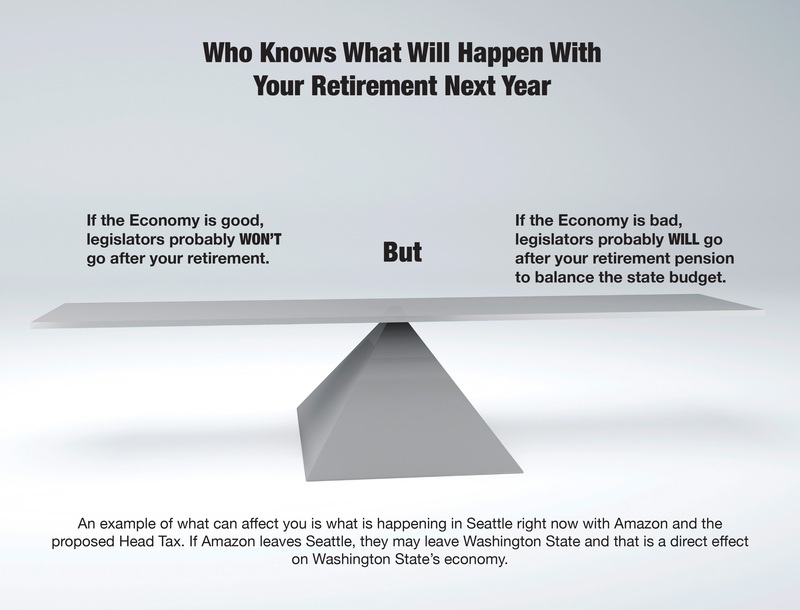 Clearly, out of state retirees have no history or understanding of Washington State law much less, the LEOFF retirement system. This would allow people to run for the board who bring an incomplete and perhaps even biased background based on their training and experience in other states which are not comparable to the State of Washington. In sum, this would clearly NOT serve the interests of the retirees much less the local communities served by those retirees. Legislative option “B” does NOT have our support. On behalf of the LEOFF 1 coalition, I ask that the Committee consider rejecting legislative option “B”. We do, however, offer the Coalition’s support of Legislative Option “A” amended as I have suggested. This gives priority to maintaining the system that has been in place and served well throughout the State for decades, while providing a back-up measure that would assure the continuation of these public service pension and disability boards until such time as there are no Prior Act retirees left to serve. I thank you for the opportunity to provide our input on this matter for your consideration. Click here for information on your Disability Benefits. Or click here to view the pdf version. Click here to read RCW 41.26.150. Remember: Your Disability Board is where you retired from. All LEOFF 1 members must sign up for medicare. Click here to go to the Medicare website and sign up, if you haven't already. 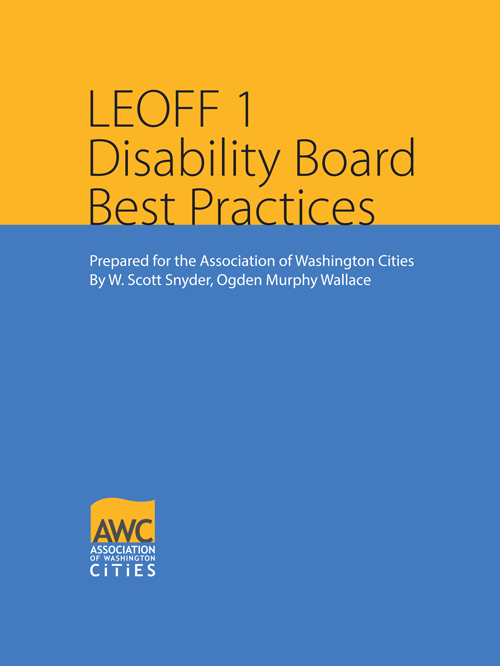 LEOFF Plan 1 disability benefits. Check with your disability board regarding your medical coverage outside the United States. (19) "Medical services" for plan 1 members, shall include the following as minimum services to be provided. Reasonable charges for these services shall be paid in accordance with RCW 41.26.150. (b) Other medical expenses: The following charges are considered "other medical expenses," provided that they have not been considered as "hospital expenses". Click here to read the complete RCW. 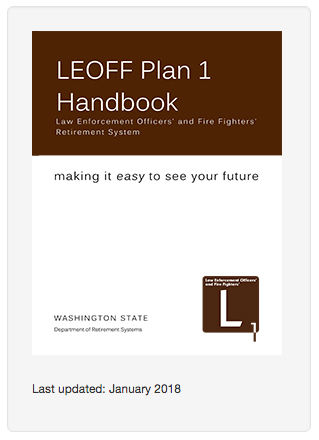 Click here to read the LEOFF Plan 1 Handbook. The Seattle City Employees’ Retirement System had one of the worst investment returns of any large public pension over a decade, triggering higher costs for the city and taxpayers. Behind the system’s struggles: allegations ranging from mismanagement to misconduct.Click here to read the article. Below is a table for the LEOFF Plan 1 COLA as of April 1, 2018. To see all COLA percentages, click here. For information on LEOFF 1, see pages 16, 17, 23, 31, 32, 33, and 34. Want to receive the newsletter in the mail? Join the LEOFF 1 Coalition here! The LEOFF 1 Coalition website contains some files that come in a "pdf" format which requires Adobe's Acrobat Reader in order to view and search through the documents. If you don't already have it, you can download it here. It's free from Adobe. Keep Track with What's Happening at the Capital! 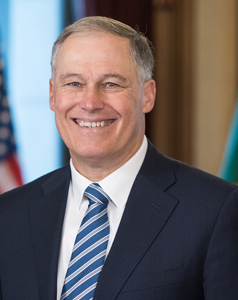 Washington State Wire - Click Here! The Olympian: Politics/Government - Click Here! The Seattle Times: Olympia Politics - Click Here! The News Tribune: Politics & Government - Click Here! The Columbian: Politics - Click Here! The Spokesman: Washington Politics - Click Here! For more government information and phone numbers, Click Here!